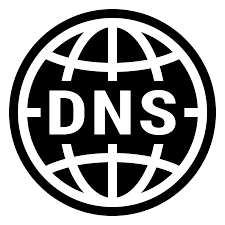 DNS stands for domain name system, the largest database in the world, containing all registration information pertaining to every domain name in existence. A DNS server, also commonly referred to as a name server, is simply a web server that is equipped with software that allows it to connect and or interact with this database on a regular basis. Data contained within the domain name system includes but is not limited to information related to the web host, the domain registrant, and the active name servers for the domain. Every domain name has at least two name servers, provided by a hosting provider. There are literally tens of thousands of DNS servers located throughout the world that each contain a portion of the domain name system database. To maintain redundancy and security of this database there are also 13 root DNS servers that contain the entirety of the database on each server. There are two main types of DNS servers – primary DNS servers and secondary DNS servers. What are Primary DNS Servers? What are Secondary DNS Servers? So, What Exactly is DNS? In the simplest definition, DNS is the term used to describe a system that assigns user-friendly names to unique IP addresses. It translates unfathomable amounts of data into words and phrases in order to provide clear and accurate search results.